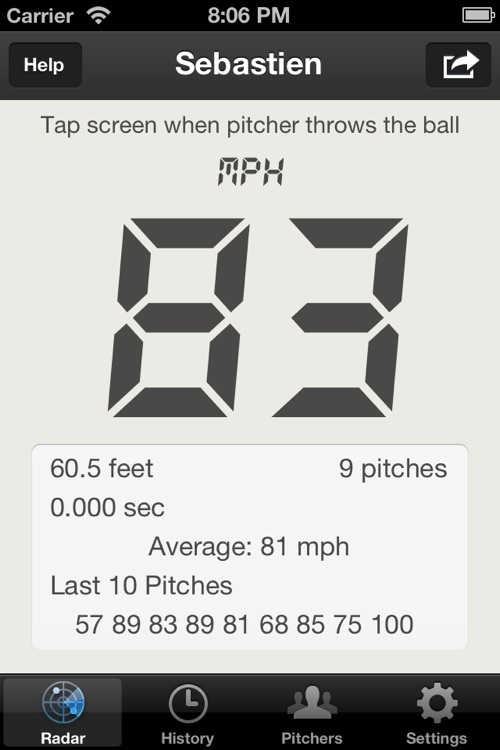 Baseball Pitch Radar Gun lets you calculate a pitchers pitch speed. 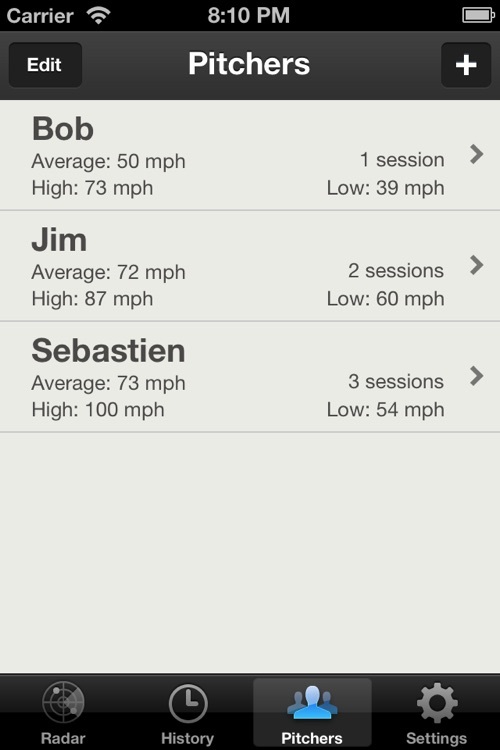 It's simple yet feature rich at the same time. 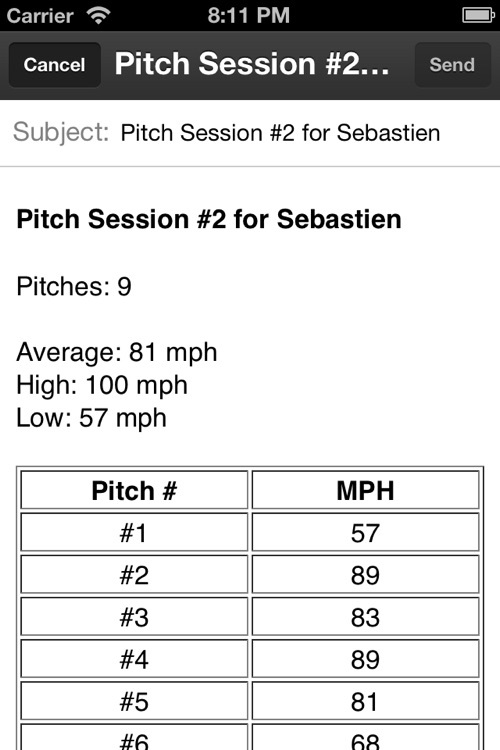 Supports full stat tracking of one or more pitchers, but if not needed it doesn't get in the way of simply recording pitch speeds. 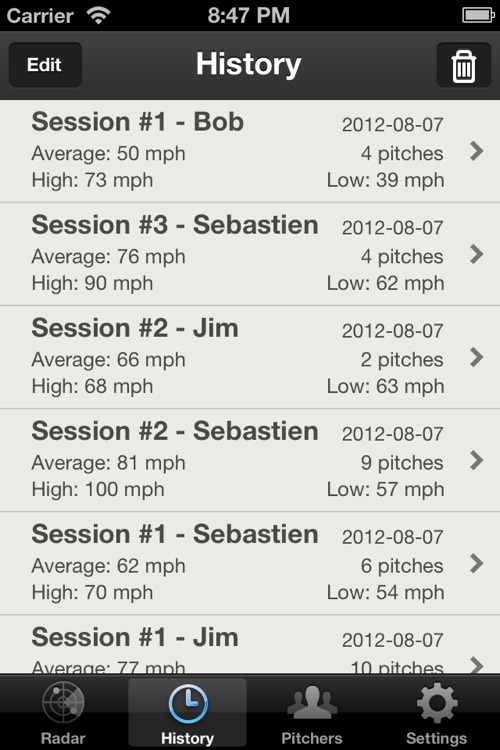 Offers two modes for capturing pitch speeds, only radar gun app in the app store to feature both modes! 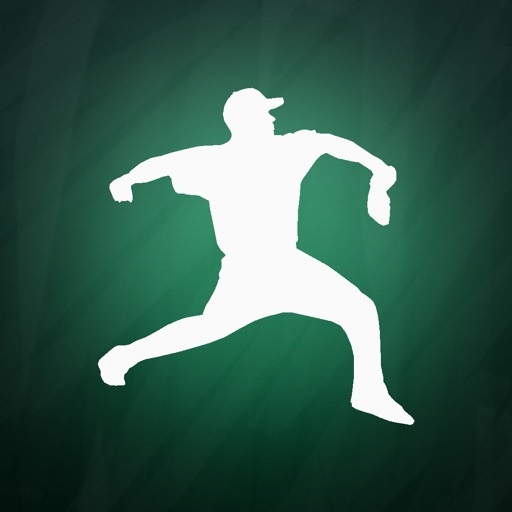 Either just press the screen when the pitcher releases the ball and press again when the catcher catches the ball. 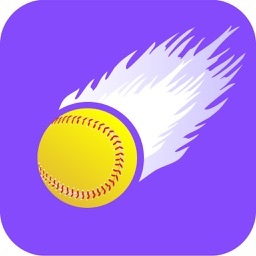 Or if you prefer configure the app so that you press the screen when the ball is thrown and release when the ball is caught. 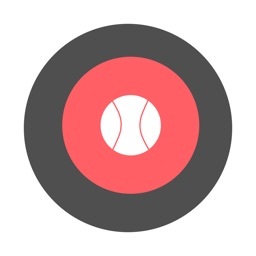 It's that simple. 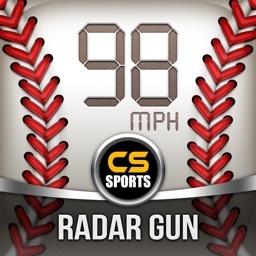 Offering both modes makes Baseball Pitch Radar Gun the most configurable and most accurate pitch speed tracker in the app store. 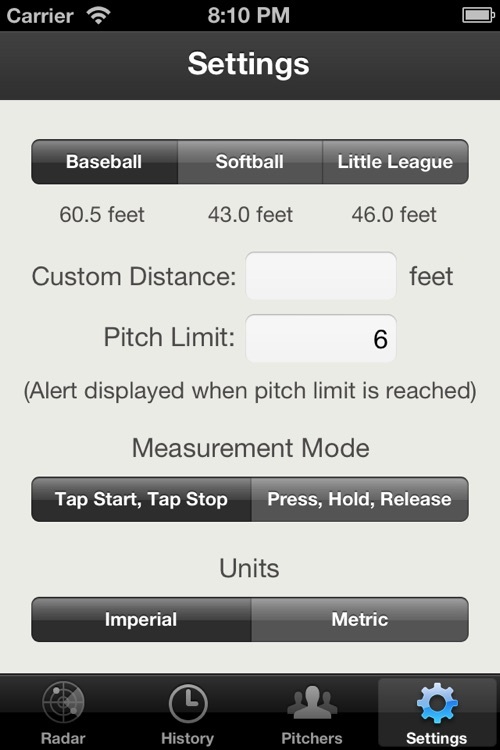 - Baseball: Calculates pitch speed at 60'6"
- Custom Distance: Calculates pitch speed at any distance! 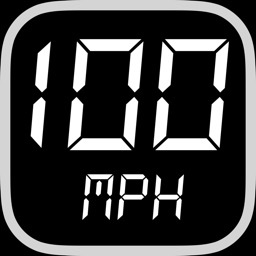 Note: The recorded speed is an average speed using distance and time. 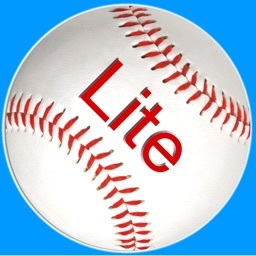 The accuracy is dependent on getting an accurate time from the pitcher throwing the ball to the catcher catching the ball which is based on your reaction time.